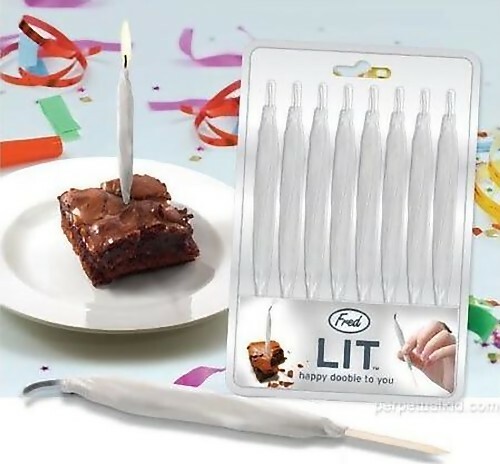 Celebrate in style with these 'Creative and Cool Birthday Candles'. These candles will liven up any party. 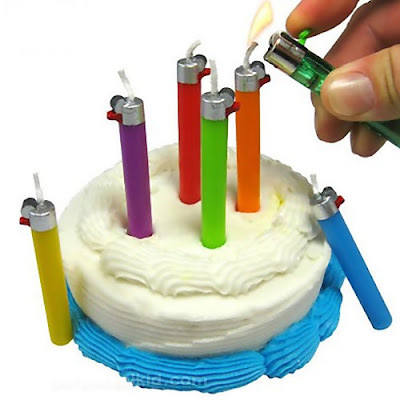 Lighter Candles: These candles come complete with anchoring toothpicks and are cleverly disguised as a lighter. 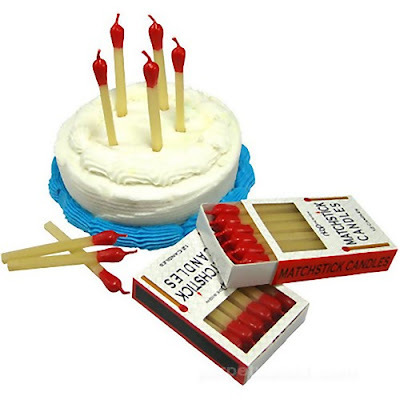 Matchstick Candles: These are made to look like matchsticks; the set contains 12 candles and comes in a unique slider box designed to replicate a matchbox. Animal Print Candles: The set contains 24 candles in 4 different animal prints: 6 each of zebra, tiger, leopard and giraffe prints. Sparkling Candles: Each of these measures 3 inches tall x .25 inches in diameter; this replica candle set contains 10 sparkling sticks that will sparkle intermittently until done. 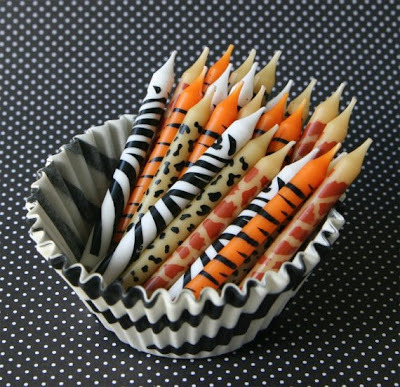 Kabom Candles: These candles stand approximately 1 inch high and 1" wide. 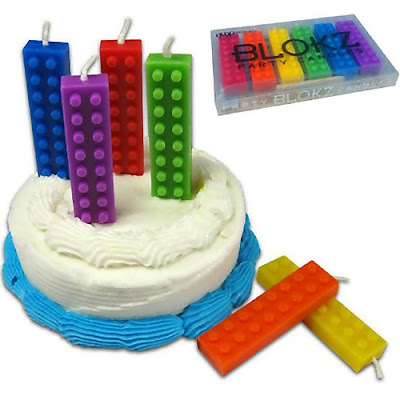 Building Block Candles: The set contains six 3-inch tall candles. 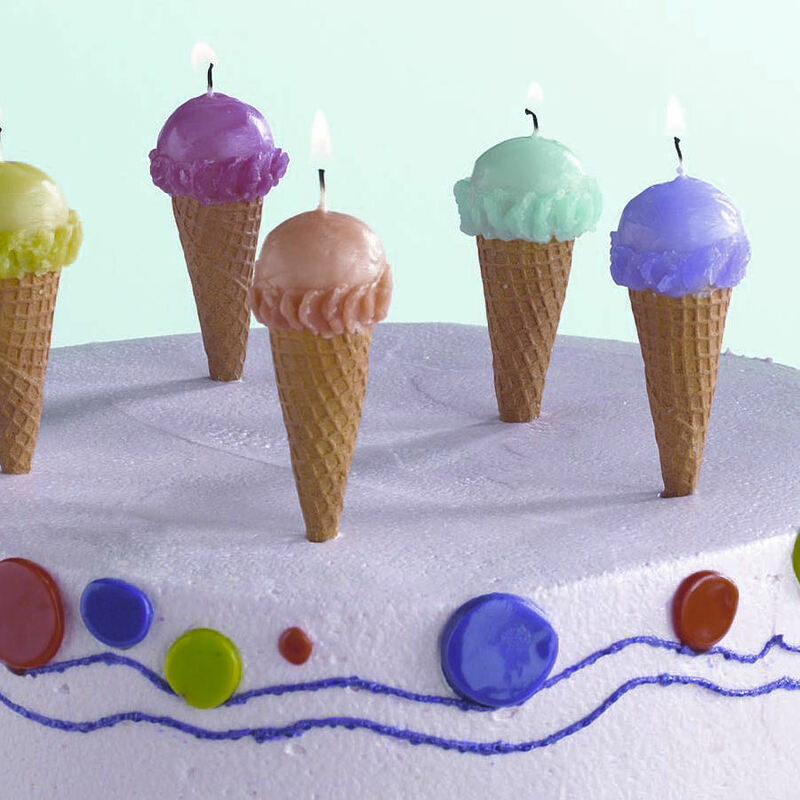 Ice Cream Cone Candles: The set contains of five, yummy ice cream cone candles, each in a different, bright color! 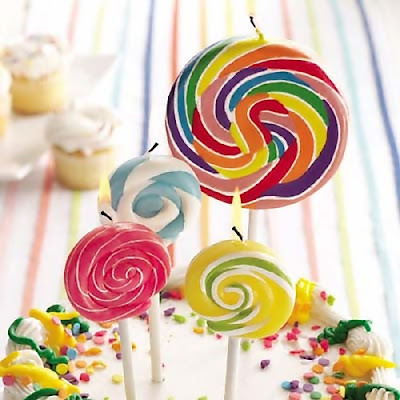 Lollipop Candles: These candles look like the real lollipops. 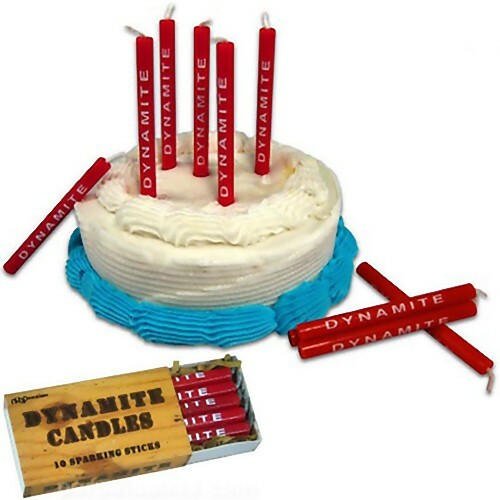 Fred's Candles: The set includes 8 perfectly rolled 3.5" candles. 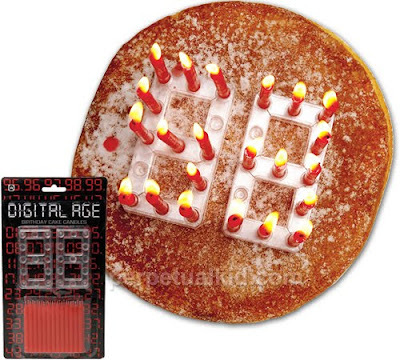 Digital Candles: These candles work for any age, well at least between 0-100. 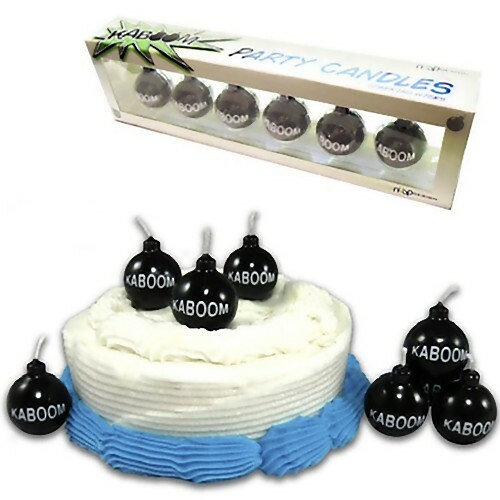 The set contains 26 candles and 2 plastic holders. 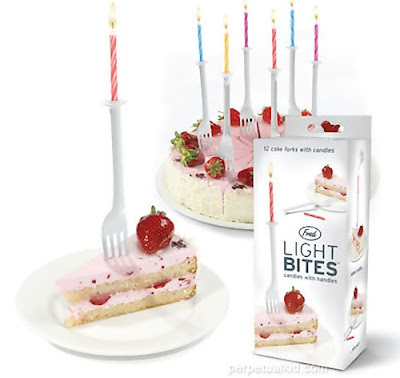 Light Bites Fork Candles: The set contains 12 candles and 12 cake forks (each measures 6 inches tall). The reusable plastic forks holds the candles.